This is Nicole Geneva Jessica Baker. 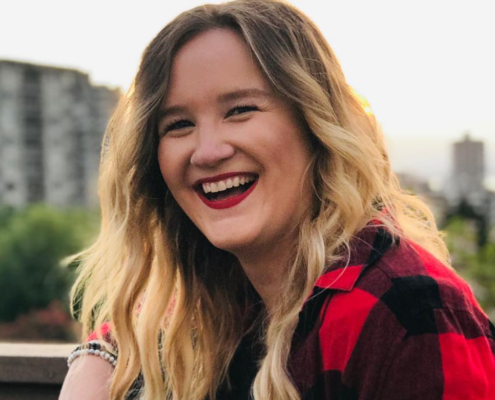 From a small town near Smithers, BC, Nicole made her way into the big city of Vancouver to work hard and start a new chapter. From a young age, Nicole grew up in a small community and a free-spirited household. She knew the roads in New Hazelton like the back of her hand. But once she moved to Vancouver, a whole new world was in front of her. This photo was taken from Nikki’s personal Facebook gallery. 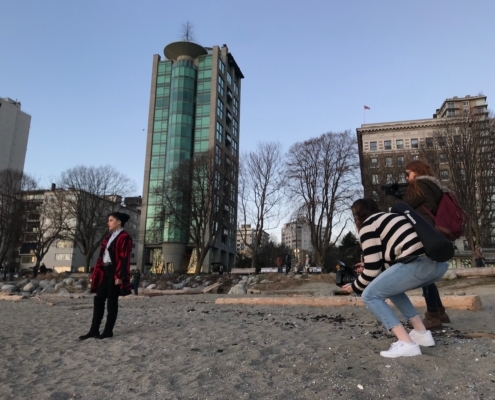 This is a behind the scenes photo from a photo shoot in Downtown Vancouver. At first, she avoided being outside for too long. The hustle and bustle of everyday life in a city with rowdy late nights on Granville, endless Skytrain stops, and hectic rush hours was a jarring adjustment. The change in environment from a small, quaint town chock-full of local food and “Mom and Pop” shops, now staring down the barrel of a gun to endless noise and large chain stores was almost too much for her to handle. Slowly, but surely, Nicole was able to adapt and find her place in the Lower Mainland. From a young age, Nicole has been an avid singer, posting videos of herself on Facebook for her friends and family. Through aspirations of modelling and several photo shoot opportunities that helped her push her introverted boundaries, she had finally found an outlet to express herself. This photo was taken from Nikki’s personal Facebook gallery. 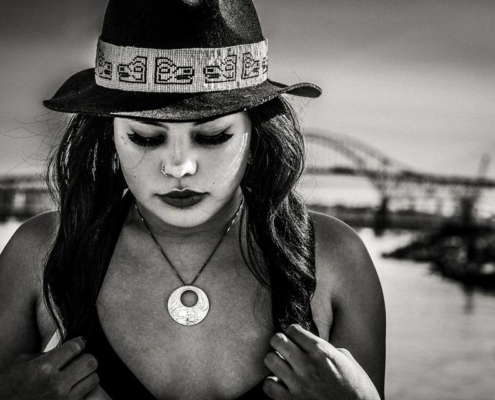 The markings on her hat represent Indigenous art from different communities. This photo was taken from Nikki’s personal Facebook gallery. In this picture, she is wearing a long sweater with patterns inspired by traditional Indigenous art. From her daily job as a chef at a Montana’s; a barbecue restaurant, to a maid service in downtown, life seemed to never have a moment for her to breathe. She finally settled into the routine of her new life in the big city. She even started making new friends. It all seemed like the pieces of her life were falling into place. But just when she thought her life was beginning to take shape, it all came crumbling down on October 14th, 2017. The day her mom went missing. Like many people, Nicole struggles with her mental health. But she’s fully invested and is on the road to recovery. She had her fair share of highs and lows, but that’s what strengthens her for another day of life. During our interview, she spoke about the importance of her mental health and how she didn’t realize how deeply it would affect her but remains hopeful for her future. For Nicole, her healing journey and path to conquer her mental health is a long one. 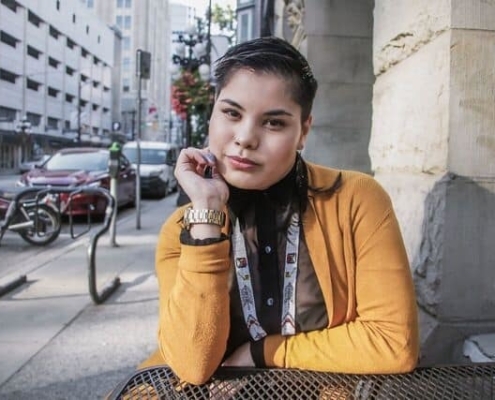 She has regularly been attending counselling to help strengthen her confidence and learn to process her emotions and thoughts surrounding the disappearance of her mother. 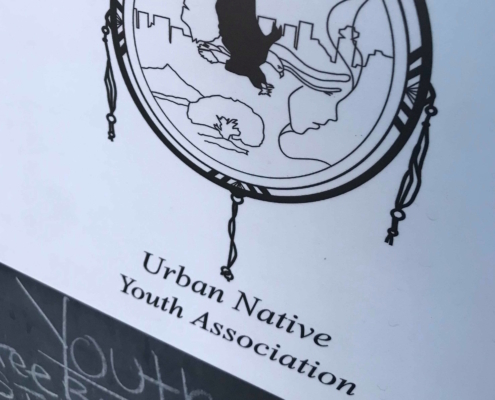 During the process of filming, we also sat in on a counselling session between Nicole and Jenny Malcolm, her counsellor at the Urban Native Youth Association. She brought up that she noticed how Nikki shared the same spirit as her mother. 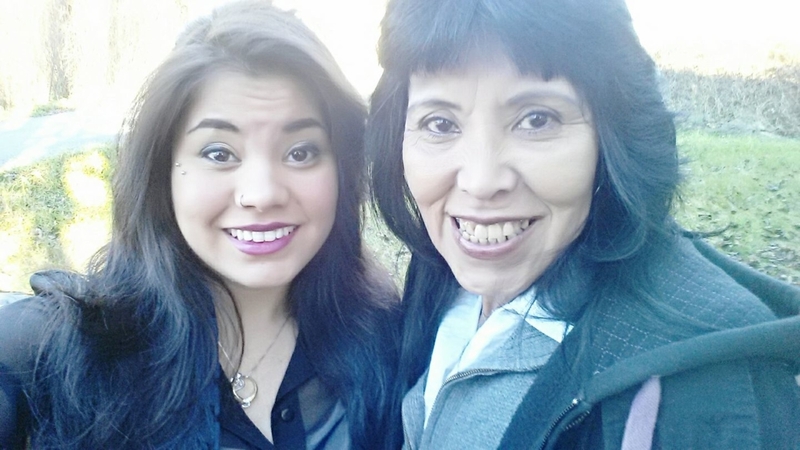 She dreams to one day begin her career in counselling, specifically helping other Indigenous women. Nicole’s goal is to ensure that those who go through these tragic events will have the necessary resources to get the help they need when they need it the most. 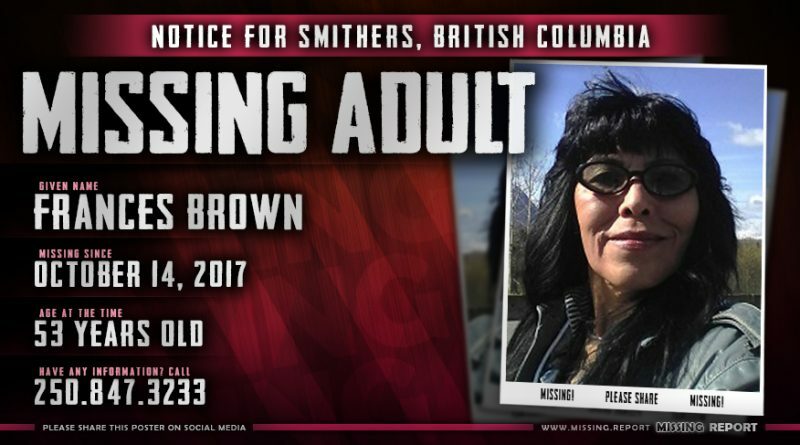 Brown went missing on October 14th, 2017 in the Kitseguecla Lake region in Smithers, BC. As a seasoned and skilled mushroom picker, Frances was no stranger to the back country. She was last seen with a friend and fellow mushroom picker named George Dominic, thus making him an integral piece in the puzzle. Brown was an independent soul who loved socializing with members of her community and ultimately spent most of her time in the outdoors. She also enjoyed beading dream catchers, even turning it into a potential business. 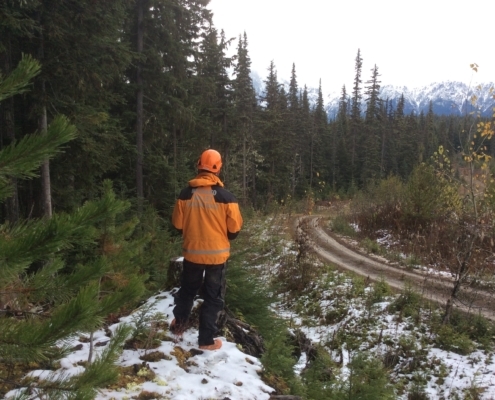 Her time spent picking mushrooms and hiking through different forest terrains gave her a working understanding of the landscape in the surrounding Smithers forest. An official police search began on October 15th, with several search parties combing her last known location. The call was called off eight days later due to rapidly declining weather conditions. An unofficial search was conducted by friends and family but was eventually called off on November 11th. 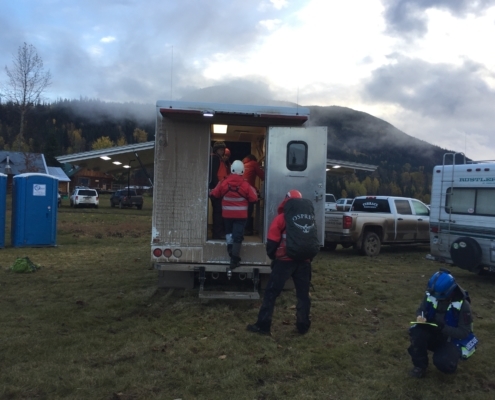 Following the duration of the search, 19 search and rescue crews from all over B.C. tried to locate Frances. Both professionals rescuers, friends, and family set out for just under a month with no luck… and no Frances. Nicole flew back two days after Brown was reported missing. She remained on-site searching with BC Search and Rescue as well as other professionals, volunteers, friends, and family. She described one the hardest moments she’s had to go through post-learning about her mother’s disappearance. The day after Frances was reported missing, Smithers RCMP went back to the area she was last seen and searched areas she was believed to be. 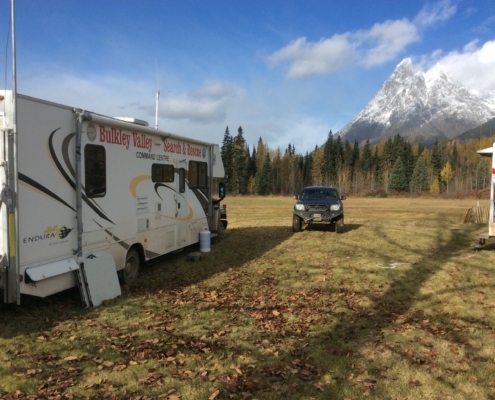 Our interview with Whitney Numan, a representative from the BC Search and Rescue Association (BCSRA), shone a new light on those first critical 48 hours of the search. 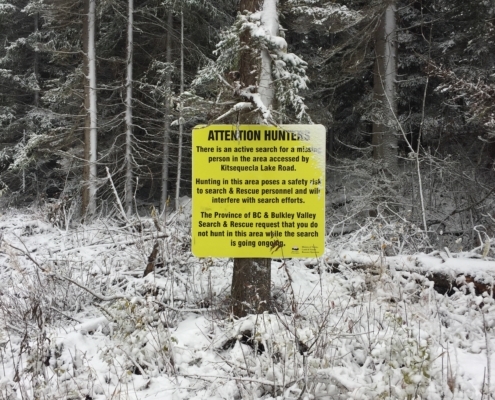 The BCSRA searched in the area, but due to the tough terrain in the valleys, they had problems pinpointing where she was… until saw smoke rising from the forest. During our interview with Nicole, she talked about the difficulty to access certain areas of the forest. At one point, she spotted a small opening with a bed made from sticks she thought might have been made by her mother. During the investigation, Nicole’s family were briefed on France’s last moments. Notably, George Dominic was an experienced mushroom picker, with many years under his belt. According to Nicole, George had more than one story to tell, that fateful day Frances went missing. LISTEN HERE: “I think I only have one suspect,” says Nicole. George allegedly told the police that he and Frances got into an argument in the middle of their outing and she stormed off, never to be seen again. When speaking to the family, George told a tale of Frances’ desire to live in the forest for the remainder of her years, leaving her children, friends, and life behind. 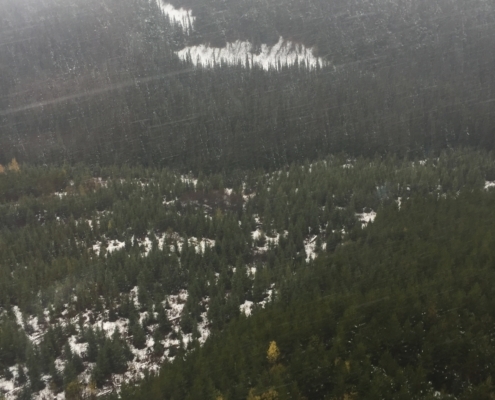 BCIT reached out to Smithers RCMP Sargeant Darrin Durnin who said that the investigation had a strong support system and a network of both professionals and volunteer individuals helping them search. Durnin declined to give a comment regarding an update to Frances’ case as there was no information made available to the public and George’s statement in reference to his uncorroborated story he told the family. BCIT News reached out to Frances’ sister, Paula Morris in early March. Paula told us that George, the main suspect in their minds, died of a heart attack. 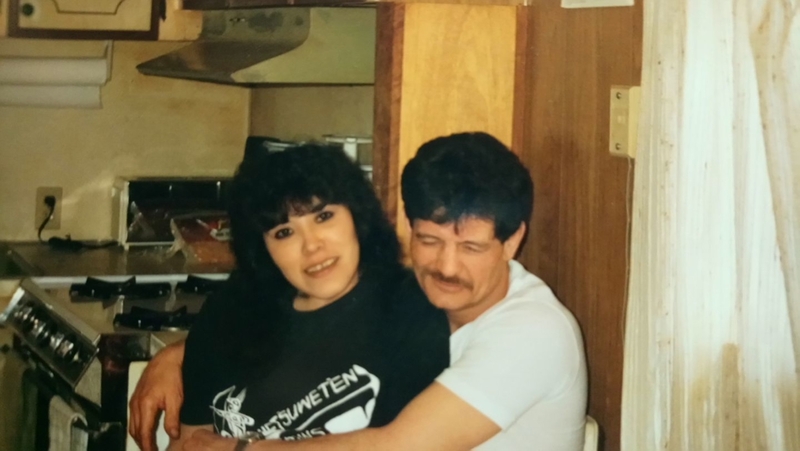 Fast-forward to today, police say they’re still searching for answers, but George’s untimely death leaves a mystery that may forever go unsolved. Currently, no new information has surfaced. Durnin says the investigation team cannot further comment regarding Frances Brown’s case. He says the case, however, is still open. Reported cases of missing and murdered Indigenous women in Canada as of April 2019. Currently, Frances Brown’s case is still unsolved. 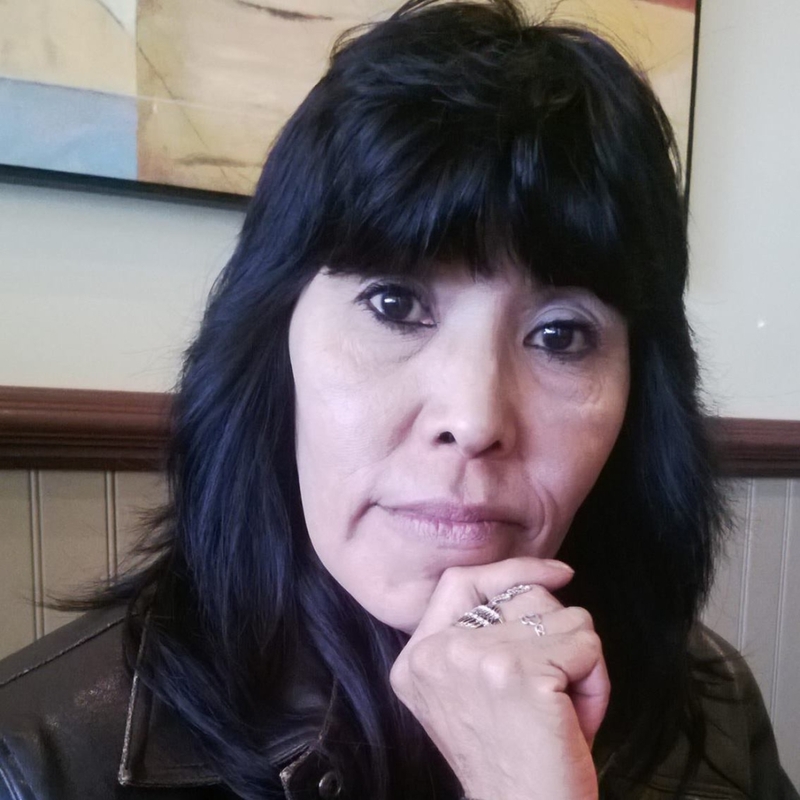 She now becomes one of over 170 reported cases of missing Indigenous women in Canada. However, this number is not an accurate representation of Canada’s missing Indigenous women as Statistics Canada and major police forces do not track missing and murdered Indigenous women. 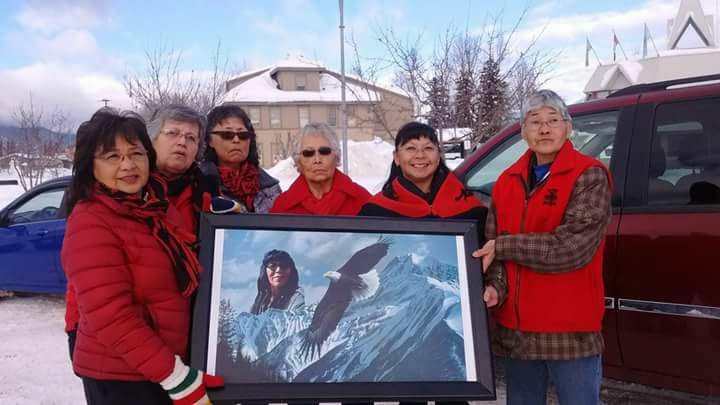 According to “Missing and Murdered Aboriginal Women: A National Operational Overview”, a 2014 RCMP report, there have been 164 reported missing Indigenous women since 2012. Notably, that number jumped up to 174 in a 2015 update. 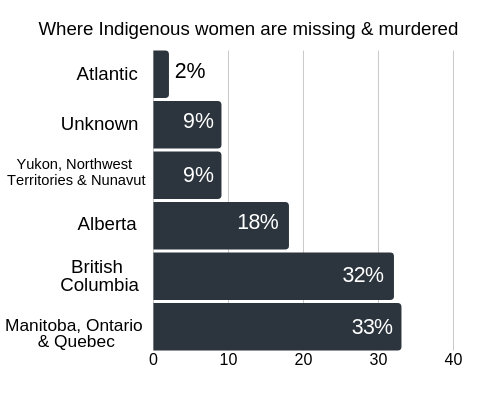 This graph shows where Indigenous women went missing and murdered throughout Canada. As you can see, BC has the highest rate as an individual province. 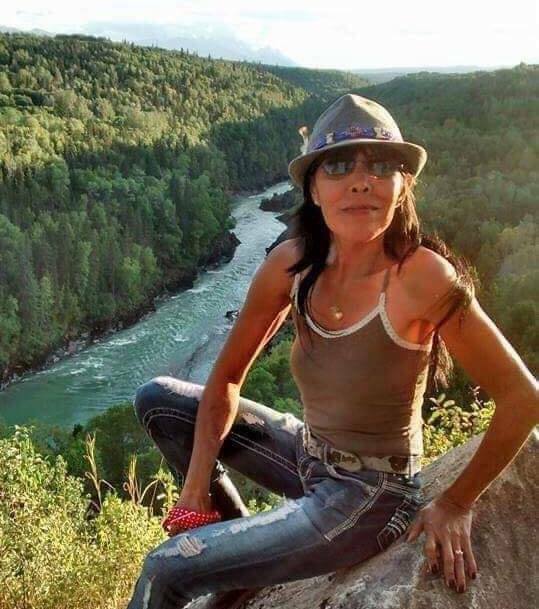 Frances Brown is one of the countless women who is missing along Highway 16, otherwise known as the ‘Highway of Tears‘. 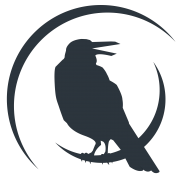 In 2017, the Canadian Government launched a national inquiry into missing and murdered Indigenous women and girls. In an attempt to understand this scale of this issue and enact change, the Canadian government released this document hoping to ensure the safety and security of “Our Sacred Girls”. The inquiry is a mandate from federal, provincial, and territorial governments to delve into the systemic violence against Indigenous girls and women and look at possible solutions to eradicate that type of abuse. 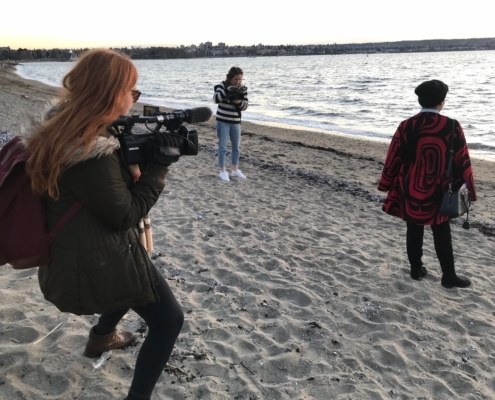 BCIT News spoke to Marion Buller, Chief Commissioner of the National Inquiry into Missing and Murdered Indigenous Women and Girls, who told us how shocking it was that most of the people they interviewed had multiple members of their lives missing. Buller continued on to talk about why she, as well as other survivors, believe that Indigenous women are girls are a target. Buller says that the more active the program is, the more people are finding out about the initiative, the more support they’re receiving. 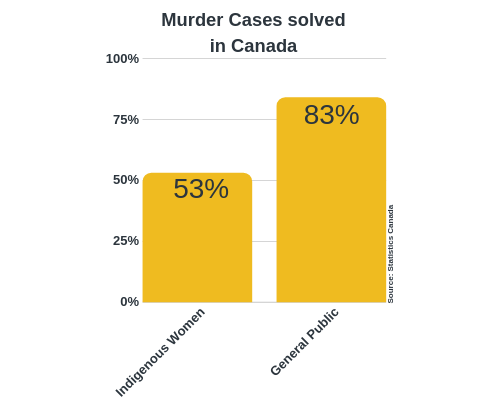 This graph displays the amount of general public murder cases that have been solved versus the amount of murder cases regarding Indigenous women. 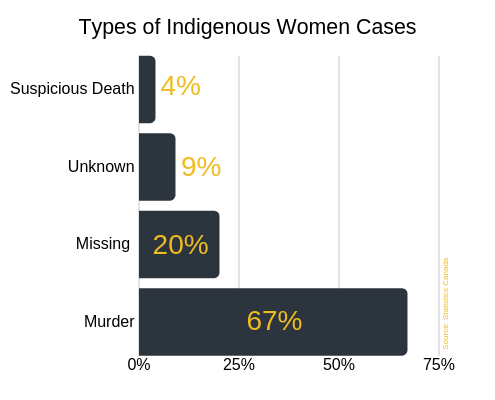 This graph displays the most common types of cases that RCMP and police force examine in regards to Indigenous women. The report is set to release on June 5th with evidence, information, and several action plans and recommendations for the federal, provincial, and territorial governments. 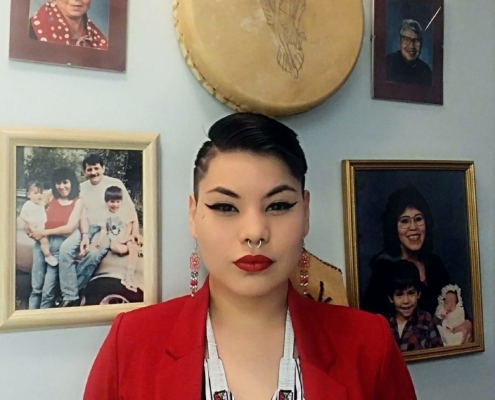 When asked about her confidence in governments taking action, Bullar says that family members and survivors will not let the government ignore the report. Throughout our documentary, you will see various scenes of Nicole at the beach. This moment was especially important for us to capture as it is one of her safe spaces during the healing process. Nicole often comes to the beach to reflect on her life, her mother, her journey as well as simply feel the sand in her toes and the wind in her hair. We captured moments of Nicole’s reflection during the tail end of the golden hour. 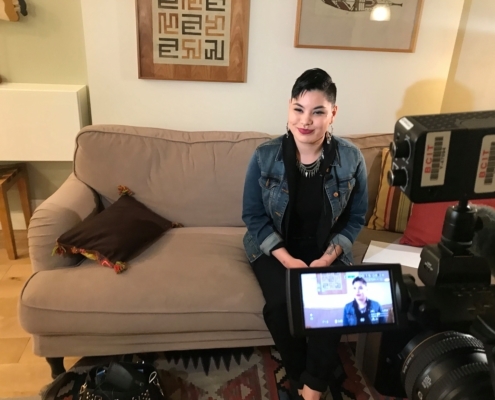 During this interview process, we sat down with Nicole one on one, in private, in order to make her feel as safe as possible. This allowed Nicole to get as candid as possible. She laughter, tears, but most importantly, her story. In addition, we were able to sit down and film a counselling session with Nicole and her counsellor. This gave us a deep look into Nicole’s mental health journey and we saw the raw side of Nicole’s emotions come through when speaking about her mother. This, along with Nicole visualizing her future, is a glimpse into her recovery process. 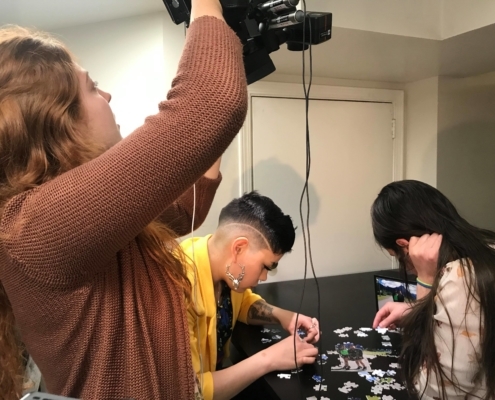 Time to time within our documentary, you may notice Nicole and her best friend Charlotte Louise Pole building a puzzle. 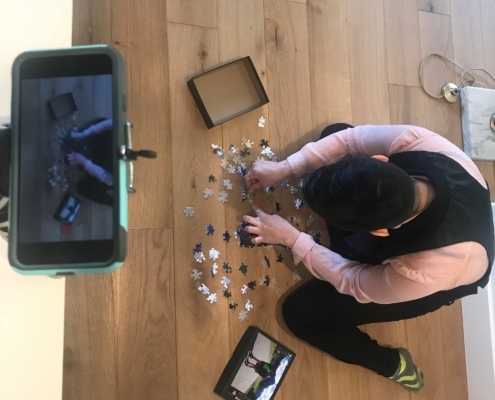 This puzzle represents key moments in Nicole’s life being added back during her road to recovery and the people who have helped her get there along the way. The puzzle is a metaphor for the pieces that once were missing, and now, coming back into her frame of life. Jenny has a Journalism degree from Kwantlen Polytechnic University. 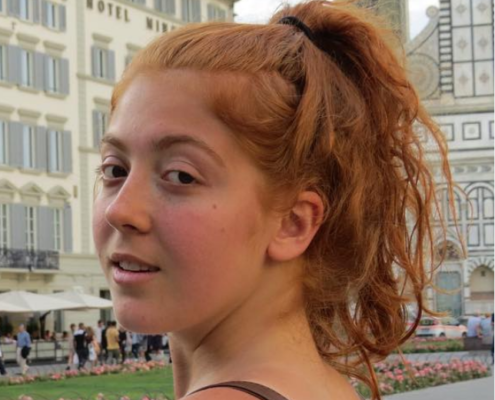 She’s passionate about writing and getting to know locals from around the world. She’s interned at CTV Morning Live and CBC Vancouver Newsroom. Sahil is an avid consumer of entertainment news. He loves finding out what’s fresh, funky, and new. 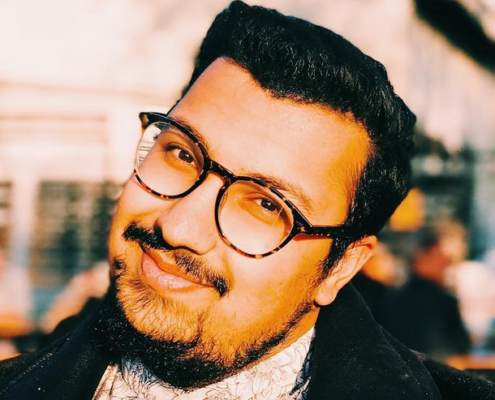 His passion for the entertainment world has taken him to intern at Daily Hive Vancouver and Entertainment Tonight Canada. Lya has a Journalism degree from Pontifícia Universidade Católica de São Paulo. Her Brazilian background brings a different perspective of life, as well as an additional knowledge of multiple languages, such as Portuguese, Spanish and English. Aaron is passionate about travelling the world in a journalistic manner. He received the OMNI Television Award in Broadcast Journalism for co-producing a short cultural radio documentary. 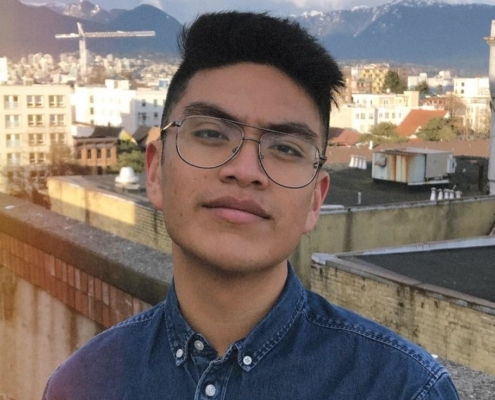 He currently works at CHEK News in Victoria as a Multimedia Journalist. 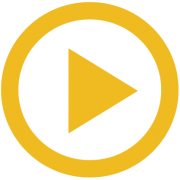 Below is our documentary about Nicole Brown’s journey on coping and, moving on, with her mom disappearance and suspected murder.